Midtown New York is home to some of the most well-known restaurants in the area. People have an abundance and variety of food they can choose to eat, however there is often a price to pay when choosing to indulge. Those who have indigestion on a regular basis and find themselves with medications and other traditional treatments that don’t work should consider seeing one of our chiropractors at Balanced Health Medical in New York, NY for acupuncture treatments that actually help. Acupuncture has been found to be more effective than the most common drugs used to treat indigestion. 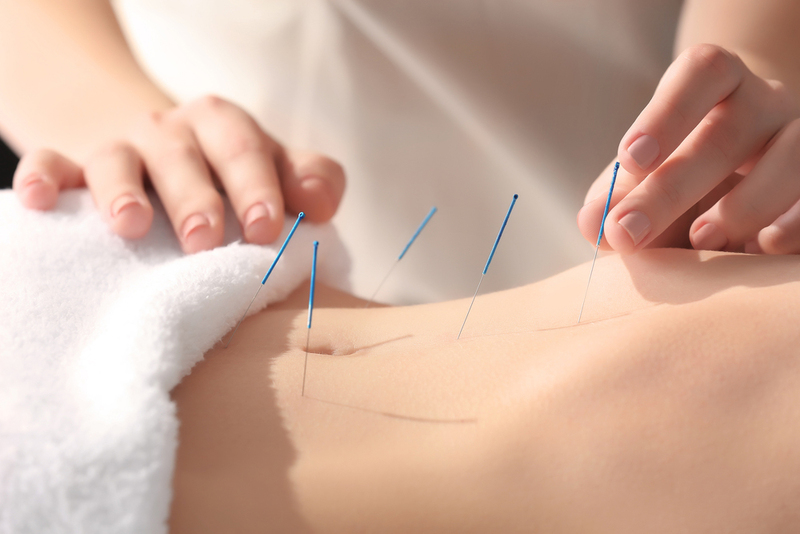 Acupuncture has also been found to be an effective treatment for a host of digestive disorders like gastrointestinal reflux disease, functional dyspepsia and gastritis. A study conducted in 2014 and 2015 focused on 62 people with functional dyspepsia receiving acupuncture treatment. The study revealed that sensations in the upper abdomen of participants were reduced over a six month period. Participants also reported reductions of upper abdominal pain, and abdominal distention and discomfort after meals. Finding a chiropractor at our Balanced Health Medical could alleviate your symptoms. The chiropractic physicians at Balanced Health Medical understand that most people would be somewhat skeptical about using acupuncture treatments as a remedy for their indigestion, as most people tend to shy away from anything that involves needles. Our friendly chiropractors in New York, NY do their best to ensure every patient has a pleasant experience when they enter our offices. We explain every procedure with great detail. We also do our best to educate our patients about the use of acupuncture treatments for indigestion, and we focus on the long-term safety benefits associated with them versus traditional treatments for indigestion. One of the biggest benefits associated with taking a natural approach for symptoms relating to indigestion is that natural procedures don't cause any additional stress to the liver or the kidneys, whereas medications could and often do. Call Balanced Health Medical Today - Don't Wait Any Longer to Get the Help You Need! Chronic indigestion is a serious medical condition. Not getting the proper treatment could have long-term effects on your body and your digestive system and improper treatment of digestive disorders can cause ulcers and the development of lesions on the esophagus. Give us a call here at Balanced Health Medical at (212)-755-1717 or visit us at 133 E 58th St #1101 in New York, NY and schedule an appointment with one of our friendly team members today. Give us a chance to show you what acupuncture can do to alleviate your indigestion.